The full anti-Candida protocol consists of three main components. The first is a very distinct change in your eating habits, which you obtain by cleansing and then following the Candida diet protocol. The second is a regime of antifungals, consisting not only of the foods you are eating but of supplements as well. This third component is a good probiotic regime. Your body, when it is healthy, maintains a very delicate balance of good bacteria, bad bacteria, Candida albicans, and other organisms at all times. When this natural balance is disrupted, you become ill. This might be a bacterial illness or a viral condition, but sometimes even the simplest imbalance can trigger a loss of the good bacteria in your intestines. When this happens, your natural levels of Candida albicans are no longer controlled and they begin to grow, thrive, and overwhelm your body. Probiotic supplements work to replace the good bacteria in your intestines. Many people take probiotics on a regular basis, for general health, and others take them after a round of antibiotics, hoping to avoid side effects. Once you have Candida overgrowth, the natural level of good bacteria in your body is completely destroyed. You can take as many antifungal supplements as you want, but if the good bacteria is not replaced, the Candida will always thrive. Your digestive tract plays a major role in the development and prevention of disease. The healthier the intestines, the stronger your immune system. Probiotics work to support your immune system, making it easier to fight off illness. This is why many people, even those without Candida, find daily probiotics to be beneficial. One of the main functions of the natural bacteria in your intestines is to secrete lactic acid and acetic acid – a job it does to make sure the overall acid level in your intestines is maintained. If your stomach and intestines become too alkaline, the Candida yeast organism is able to easily grow and thrive. Taking probiotics rebuilds the proper level of acidity. It’s all about the numbers. When your body had more healthy bacteria than Candida, you were healthier. Taking a probiotic supplement while at the same time taking antifungals will ultimately help your body overwhelm the Candida and crowd it right out of your body. The more space you have filled with good bacteria, the less space there is for the bad stuff. There are countless probiotics out there, and choosing one never seems like a simple task. There are tons of criteria, and different websites list different things that you should look for such as high CFU count while some websites tell you that you that a probiotic like yogurt is enough. Well first, yogurt is not enough, most yogurt is not going to help anyone, unless it’s home made, and even then it will have trouble getting past your stomach into your GI tract enough so that it can sufficiently help you. In terms of CFU count, I look for at least a billion CFU’s per serving, but that’s with good quality probiotics. If you take cheap probiotic supplements, that claim 50, 100, or even 200 billion CFU’s per capsule, well you will be left disappointed. They will not work. I know that bacteria are small, but unless they are really cheap strains, you cannot put that much bacteria in a capsule. Sadly it’s a giant marketing gimmick. Sorry to disappoint you. Another thing that I look for is multiple strains of probiotic. There are some decent probiotics out there, but I do not want something with only a single strain of bacteria because that strain while good might not be the one that I need. I usually look for a few good strains, my favorite strains are Bacillus subtilis, Lactobacillus helvecticus, Saccharomyces boulardii, Lactobacillus acidophilus, Lactobacillus rhamnosus. Those 5 strains work very well for candida sufferers, and it’s VERY difficult to find a good probiotic with that, but I was actually able to locate one company with that and more which I will share with you. Besides looking for bacteria, one thing to be mindful of is the delivery system. Remember I said that yogurt is likely to die because of your stomach acids. Well if you took probiotic in powder format, what do you think is going to happen? Or if you drink a liquid probiotic? Your stomach acids are made to digest everything that you ingest, so they will be treated no different than yogurt. They will be completely digested and rendered pretty much useless (except a few hearty strains such as Bacillus Subtilis which might survive). So what are you to do? If you take a regular vegetable capsule, will it survive? Most likely not, just take one of the probiotics that you have at home and put it in a cup of water, watch how quickly it dissolves. That will not last until you get to your stomach. You also have the other problem with specially coated supplements including probiotics, where they use a very unhealthy coating using plastic chemicals, known as phthalates. You can find it in vinyl flooring, cleaning products, insecticides and many other places. These will be labeled as being enteric coated, or time release, safety coated. Well they do work, but they are even unhealthier than taking your chance with the stomach acids. Well there is another way around it that is healthier. There are some companies that use a vegetable capsule that is very thick. It’s not like a typical vegetable capsule, but it’s made so that it will take about 45 minutes to dissolve, where if you took it on an empty stomach, it can get through your stomach and dissolve in your intestines. This type of coating is the best in my opinion, unless of course you enjoy eating plastics. There are a couple other criteria that I look for when I choose good probiotics, especially if you have candida overgrowth. One of the things that I look for that should be pretty obvious is shelf stability. If a probiotic isn’t shelf stable, if it cannot survive while it’s in a capsule, what is the point of taking it. You are flushing your money away, you need high quality probiotics that are shelf stable. Many plant based probiotics can survive while they are not refrigerated. A final thing that I look for, although this one is not required but I like to get it all in one is prebiotics. Now I do not want any prebiotics because some actually raise your glucose levels and will feed the candida, but the only prebiotics that I take are Isomalto-Oligosaccharide. This one will not raise your blood sugar levels, and will feed the natural beneficial bacteria in your body, not the candida. Now you might be thinking, great, you listed all these impossible things that you can’t find elsewhere. That’s how I felt also. It’s not easy to find a probiotic which has everything that I’m looking for, but not being easy is not the same as impossible. There is a probiotic that was specifically made to fight against candida. It is made to the highest standards and actually exceeds every single requirement that I have. I couldn’t believe it. The probiotic that I take is called Canxida Restore. It is by far the best probiotic supplement that I’ve seen, and exceeds what I’m looking for in every single category. Not only does it have 8 strains of high quality bacteria, it has more bacteria as well. Another thing that it has is a yeast cleanse to eat away at any extra yeast that is in your body. 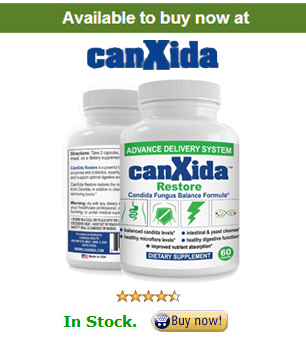 If you are looking for a probiotic for candida, there is not a more perfect probiotic than canxida restore. Now you might be thinking that if it’s just for candida, will it help my other symptoms? Well if a probiotic will help your other symptoms, then yes it will. You see, candida is very hearty and difficult to get rid of without proper diet, and taking the right combination of supplements and probiotics. A probiotic that is made to fight against candida means that it will exceed every other probiotic in pretty much every way. It’s like if you were to put an all star professional athlete in a high school team. The difference is that much. So if you’re looking for any probiotic whether for candida or something else I can highly recommend canxida restore because of all the criteria that I listed. I am open to other suggestions though, so if somebody does find something better please send it to me.